Professional Modern Contemporary Dancer and Aerialist and Silk performer. At Blue Egg, Alisoun teaches several unique training classes, DancExpression, DancEnergy, Energetic Architecture, Dragon Yoga, and Strength & Stretch. Originally with Les Ballets-Jazz de Montreal, Alisoun has worked as an independent dance artist since 1992. 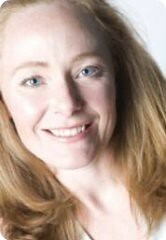 She has performed with Vancouver dance companies, Karen Jamieson Dance Company, Judith Marcuse, Mascall Dance Co., Co. Erasga, Big Sky Productions, Kinesis Dance, and MMHop, as well as in several musical theatre projects. After ten years under the direction of Cirque du Soleil choreographer Debra Brown, she continues to perform aerial dance independently, and with Vancouver’s Aeriosa Dance Society. She has been involved in several film projects, including the feature length “Catwoman”. In addition, Alisoun’s versatility is informed by the fact that she has a black belt in Chien Lung, an internal/external Kung Fu form. Alisoun’s most recent projects have included flying as an aerialist in the opening and closing ceremonies of the 2010 Olympics. Alisoun’s teaching draws on various modern and contemporary dance techniques, Kung Fu, gymnastics, and contact improvisation, Alisoun’s teaching and movement style is dynamic and eclectic. She balances this toolbox of external skills with breath and energy work, stretching, alignment, and healing arts principles taken from yoga, release work, and Feldenkreis in the delivery of her work. All classes are geared towards self-expression through movement, strength, flexibility and fun in an instructive and supportive environment. Phyllis was first drawn to yoga because it produced a strong sense of calm and peacefulness in her life. The path of yoga has led her to venture into the East where she completed her Yoga Alliance certification under Lily Gonclaves, studied under Yogi Vishvketu, and completed a Vipassana meditation training at Wat Ram Poeng. Phyllis is currently apprenticing under Shannon Cluff, “the teacher’s teacher” at Sanga yoga. Currently her primary practice is Astanga, but she also practices and teaches Vinyasa Flow, Hatha and Yin. Flexibility is not something that came naturally to Phyllis’ body, but followed after years of practice and study. She enjoys teaching different levels in her classes, as she has a lot of compassion for students who struggle with the same thing she once had. Her experience includes teaching a variety of ages and adapting her teaching style to students of all levels, so postures can be safely enjoyed. With an intention of building core strength using proper alignment, you can create a strong foundation for safe progression within your practice. Phyllis brings a sense of humour and playful positive energy to the class, by sharing a gift that she is ever so grateful for: Yoga – the unity of body, mind & spirit. 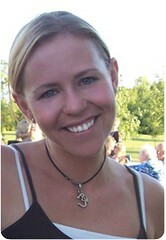 Arielle is an experienced physical trainer including more than six years experience teaching Yoga. She specializes in Ashtanga, Vinyasa Power, Flow and Yoga for Athletes. Arielle has a Honours Bachelor of Kinesiology from McMaster University (Ontario) with a minor degree in Health & Society, specializing in sports injuries and rehabilitation, anatomy, growth & maturation, coaching, biomechanics, psychomotor development exercise physiology and neuromuscular control. Arielle has many qualifications and certifications. Exerperience the difference in her teaching/coaching style. It is in humility in which I find peace. I have spent my life studying and coaching elite physical performance, a discipline that requires focus, dedication and practice, not unlike yoga. The difference however, is found in the layers of ego we shed or ignite during that practice. Coming from an athletic background with a degree in kinesiology, initially I was drawn to practice as a means to improve my flexibility. It wasn’t until I let go of the mere physical “doing” of yoga that I really grew in it, and the practice began to teach me. I spent years concerned with the appearance of my body, with a struggle to accept it at times. Yoga opened the door for me to respect my body. I let this respect guide me on and off the mat. Originally from Ontario, I began a focused study of yoga after a visit to Vancouver in 2003. In 2005 I followed an intense calling to teach yoga. My journey began by travelling to Asia to study in the Asthanga tradition with Paul Dallaghan at Centered Yoga. As a residential program, I was fortunate to live yoga every day, surrounded by fellow practitioners, aspiring teachers, and most importantly those who led me to my path. Yoga transformed me. I return to Thailand annually to continue my personal study and grow in my teaching. In my journeys I have been exposed to the direct teaching of Sri OP Tiwari, one of the last living masters of Pranayama. Every day I learn. I am forever appreciative of teachers who have passed to me a piece of themselves to share with the world. I teach from the heart, guiding students toward an understanding of their physicality. “Tune in” to the juice of practice and embrace the fluidity of breath. Surrender, smile, laugh and have patience – on and off the mat. It is with gratitude that I teach.